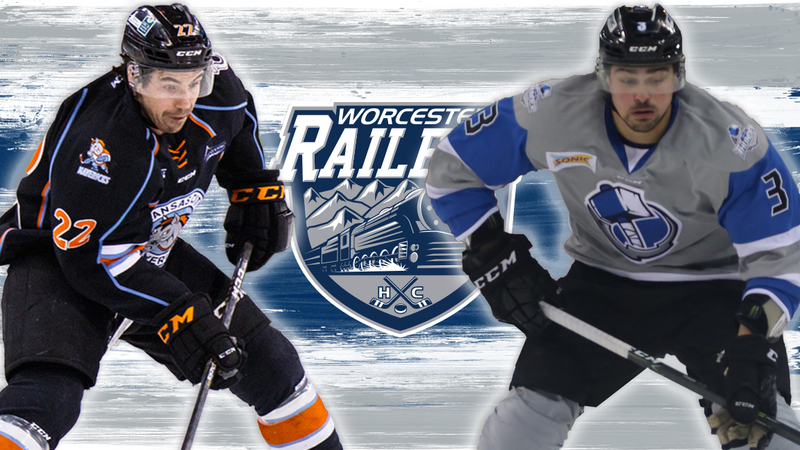 WORCESTER, MA – The Worcester Railers Hockey Club (@RailersHC), proud ECHL (@ECHL) affiliate of the New York Islanders (@NYIslanders), and Railers HC General Manager and Head Coach Jamie Russell (@JamieRussell18) officially announced today that the club has signed forward Jordan Kwas and defenseman Alexis Vanier (@AlexisVanier) to ECHL contracts for the 2018-19 season. Jordan Kwas joins the Worcester Railers HC entering his fifth season in the ECHL. The 29-year-old forward posted 11 goals and 22 assists for 33 points in 65 games for the Kansas City Mavericks last season. In total, he has 48 goals and 79 assists for 127 points in 235 games in the ECHLwith the Colorado Eagles, South Carolina Stingrays, Wheeling Nailers, and Kansas City Mavericks. The five-foot-ten, 183 lb. Cochrane, AB, CAN native spent four seasons with the University of Alaska-Anchorage and amassed a total of 30 goals and 60 assists for 90 points in 124 games before making his professional debut with the Colorado Eagles (ECHL). Alexis Vanier joins the Worcester Railers HC entering his third professional season after appearing in 33 games for the Riviere-du-Loup 3L of the League of North American Hockey last season. The six-foot-five, 227lb Sainte-Catherine, QC native played for the Wichita Thunder (ECHL) in 2016-17 and posted four goals and 10 assists for 14 points in 49 games. Before turning pro, the 22-year-old defenseman played four seasons in the QMJHL with the Baie-Comeau Drakkar, Sherbrooke Phoenix, Blainville-Boisbriand Armada, and Charlottetown Islanders for a total of 30 goals and 66 assists for 96 points in 223 games. Vanier was originally drafted by the San Jose Sharks in the fourth round of the 2014 NHL Entry draft. Kwas and Vanier join Barry Almeida, Woody Hudson, Tommy Kelley, Kyle McKenzie, Connor Doherty, Tommy Panico, Malcolm Gould, Dylan Willick, Nick Sorkin, and Tyler Barnes in signing an ECHL contract with the Railers for the 2018-19 season.